Oddly enough, Tiesto left the world of trance in the 2000's, but that quote is true. Trance music literally can put you in A State of Trance, thus the successful brand from Armin Van Buuren. However, I enjoy techno without drugs too. The other day while spending time with my boyfriend (who I met through mutual love of Trance), I decided that music is my religion, and I worship in the church of trance. It can sound silly, but since I have never really been religious in the traditional sense of the word, it is evident that music has saved my life in many ways. It has become my escape from the adversity of my daily life, and I wouldn't have it any other way. I spent the better part of 6 years following a group due to them saving my life at the time. That's a whole different post that I wrote before. I have an eclectic taste in music, and noticed during that time that I was neglecting other artists and groups. Then my love of trance smacked me in the face after realizing that out of all Electronic Dance Music, that genre is my favorite. 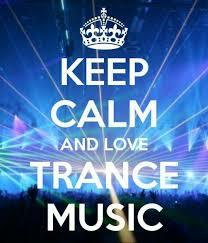 I love the vocal, melodic, and progressive sounds of trance. There is something spiritual about connecting with other people through the mutual love of music. Try it. The whole experience of going to a live show, festival, or just listening to music with friends and family has defined who I am. Yes, many people (including me) used to say sports was my thing. I beg to differ.